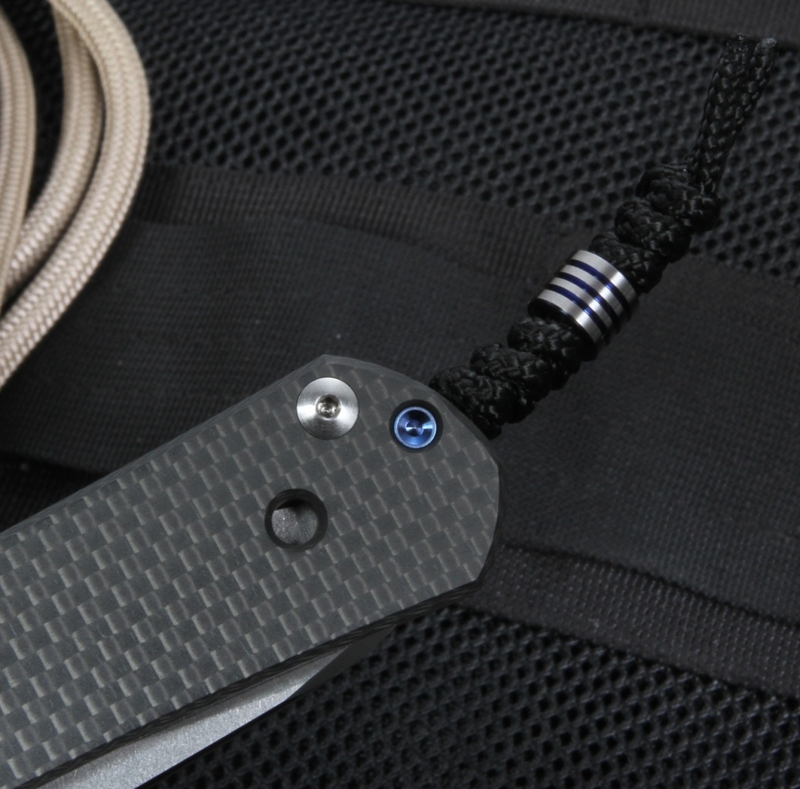 The Chris Reeve Large Carbon Fiber Sebenza Insingo is a Sebenza 21 with a side of black weave carbon fiber handle on the front - with a full integral lock titanium on the locking side. The insingo blade geometry provides incredible cutting power and utility. The carbon fiber reduces the weight significantly, without compromising on the strength. 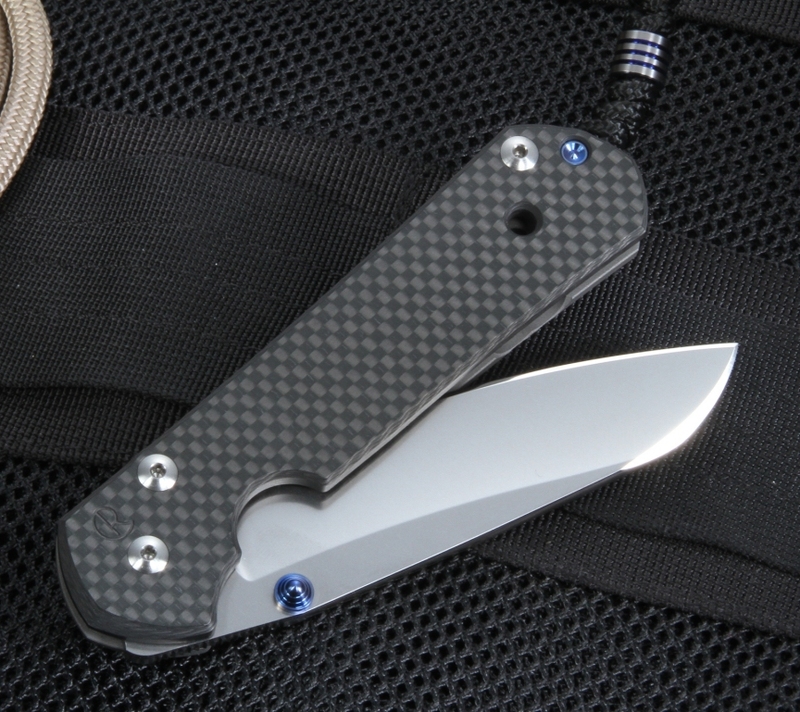 The Carbon Fiber Sebenza is bank vault solid. This is a knife that really needs to be held to be appreciated. It is lighter in the hand - yet the carbon fiber is incredibly rigid and true. Chris Reeve Knives fully machines and laps the lightly textured carbon fiber scales to make sure the tolerances are up to their high standards. Braided black cord lanyard has a Chris Reeve titanium bead with blue anodizing that matches the thumb stud and spacer pin. Feel the difference in the quality of a Chris Reeves knife. Chris Reeve knives are made with precision and pride in Boise, Idaho U.S.A. I have owned a dozen different models of the 21 over the years and I have finally found the one. The reduction in weight is amazing and you barely notice it in your pocket. Standard CRK solid lock , finish and a centered blade. I could not be happier. much lighter than its inlay and full ti brothers. If you plan on using this knife, I would recommend the micarta inlay version. The grip on the micarta is just better and has a more solid feel in the hand. 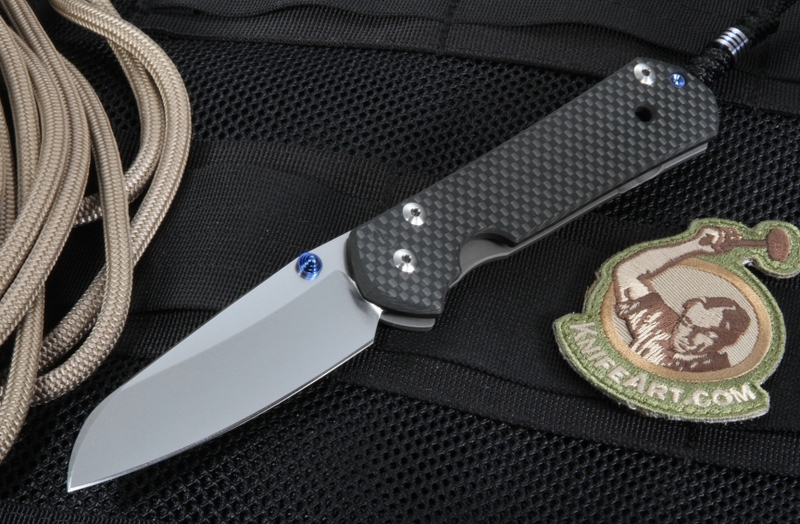 The carbon fiber does give this knife a great look, and feels more lightweight. If you can get both, then get this one and micarta, but if you have to get just one then go with micarta. Overall great knife though, unbelievable quality from Chris Reeve as always. I do not regret dropping the cash for this beautiful knife. This is my fourth Chris Reeve knife. I have two large 21's, one with a serrated blade and 1 small. This, however, is already my favorite. The carbon fiber makes it easier to carry for me. I wear a suit relatively often. I have some very nice knives; Reate,Todd Beggs, Hinderer, Aegis Hoplite,Zero Tolerance etc but this is just a functional work of art. It is exactly what it should be and nothing else. The service was excellent and I have only great things to say about both KnifeArt and this knife. Unbelievable knife. Quality, finish, a real beauty. I bought this knife because I had to retire my plain jane Insingo. I am as happy with Knife Art as I am with my knife that I bought from them. Beautiful knife smooth action, superior fit and finish! The service you get from KNIFEART is top notch. I have now purchased probably close to 10 knives from them and all I have to say is I'm blown away with their service, they ship really fast and they are extremely responsive on the phone and offer great advice. Don't EVER hesitate to buy anything from them! They truly are my treasure website and my go to knife retailer. Thanks again for yet another great Sebenza and thank you Chris Reeve and CO for making such exquisite knives. Wow sums it up. This knife is spectacular. The carbon fiber is flawless, the action is flawless, the titanium is flawless and the company CRK is flawless. Moreover, KnifeArt is flawless. My knife shipped with the incorrect lanyard (I got the standard crk lanyard rather than the beaded lanyard). I reached out to KA and they assured me the correct lanyard was coming in and I would be reciving it as soon as possible. Customer service is top notch. Some might hesitate to send this type of money over the internet, but I can tell you without a shadow of doubt, these folks are top notch and will do right by their customers! Buy this knife, and all your knives from KnifeArt. I've had almost 2 dozen sebenza's come and go from my collection. Both the small & large carbon fiber Insingo versions are my all time favorite CRK's yet! The small one is especially great with it's matching lanyard bead. I don't know why they wouldn't include it in the large version, the 3 channel blue ano bead would definitely add to the large config too. In the large one, I would have liked the option for double blue lugs. But apart from the accessories, the CF really makes a noticeable weight difference if you're used to carrying a normal one. I would definitely recommend this one to be part of your CRK lineup. 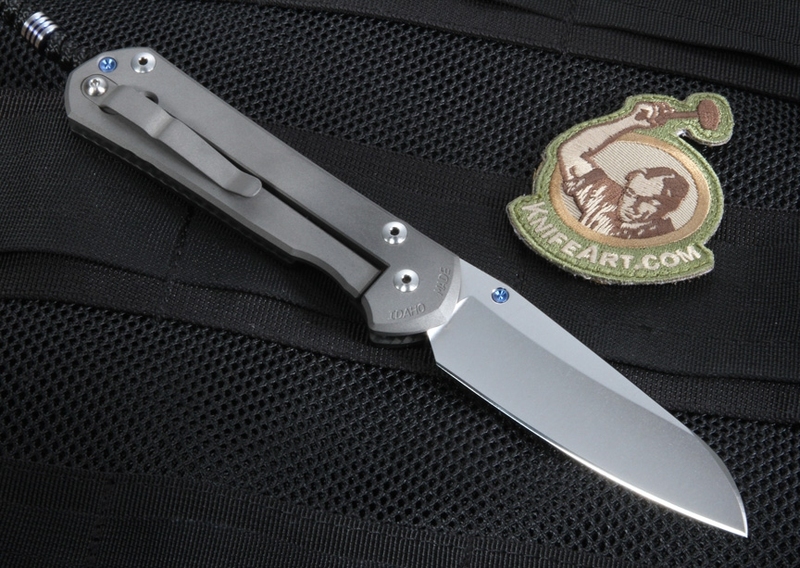 I must admit I'd never heard of Knife Art and had never really been a fan of Sebenza's until I saw this one! Did some research on Knife Art and all I heard was how great they were to do business with. So I ordered one. To make a long story short, I wound up having to send the first Sebenza back. The gentleman I spoke with over the phone however made everything VERY easy and was a pleasure to deal with! I got the second Sebenza a few days later and I think I'm in love! Silky smooth action, perfect blade centering, top notch fit and finish overall and it's LIGHT! If you are on the fence about Knife Art or this particular Sebenza, take the plunge! I would HIGHLY recommend it and doing business with Knife Art. As soon as I figure out something else i need I'm coming back to Knife Art for it! Two thumbs up to Chris Reeve for making this Sebenza and to Knife Art for being so wonderful to do business with! I have one of the first 50 Large Sebenza 21s with the Carbon Fiber handle (#50 of 50), and this version made it better with the blasted finish on the Carbon Fiber handle, and of course the Insingo blade. Mine will be perfect (for me) as soon as it gets back from CRK with double silver thumb lugs, spacer, lanyard pin. Thank you, KnifeArt, for making this available. In my opinion, this is the ultimate Sebenza configuration. The carbon fiber scale is going to be a lot tougher than a Titanium slab at a greatly reduced weight. This knife is very well made, and this is the second one I've owned. A note to buyers however, the new models have a much less polished carbon fiber side than the older models, so it is slightly different than these pictures. The first one I owned was very smooth and had a very well polished carbon fiber slab, this new one is slightly more textured and less polished. Not saying one is better than the other, but the new ones are just different in that regard and is worth noting. KnifeArt is an excellent company and always ships fast and takes care of customers when there's a problem. Very satisfied with this purchase and very glad they got these back in stock after letting the first one go! this is a fine knife, and valued correctly. Great high quality knife. Knifeart gets your order to you quick! Satisfied customer. Can't say enough about this knife. If there is a better one, I have not found it. 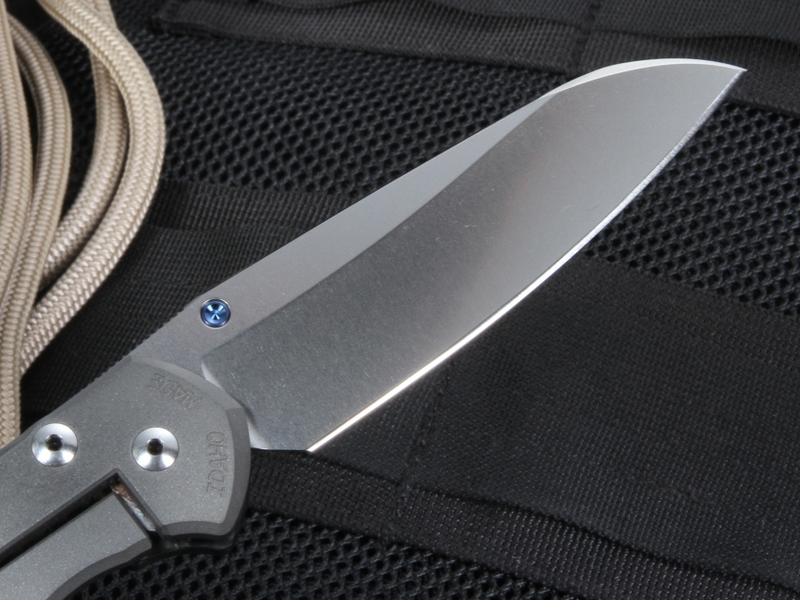 The carbon fiber/Titanium makes this knife is light as a MUCH smaller one; perfect for EDC. The Insingo blade design is unique and the most practical I have found.